Don’t watch the clock. Watch the game. SideLineTracker is an iPad app designed for coaches and parents that makes tracking player time easy and efficient. 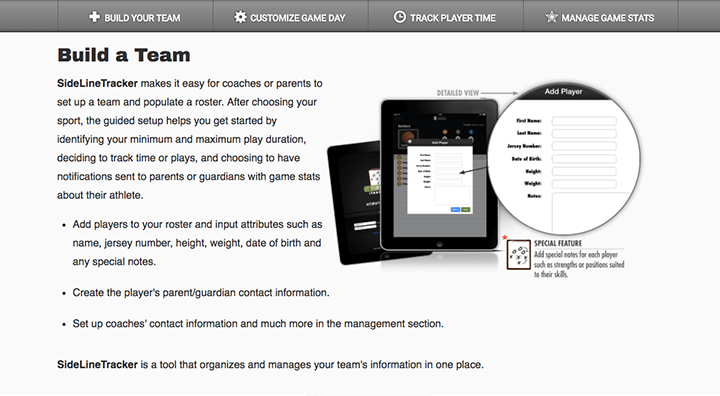 During game play it’s difficult to identify the athletes who have had too little playing time as well as those who have been in the game too long. 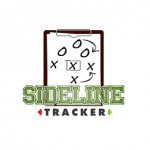 Managing spreadsheets and checking boxes while trying to focus on the game and strategy is time-consuming and inaccurate. 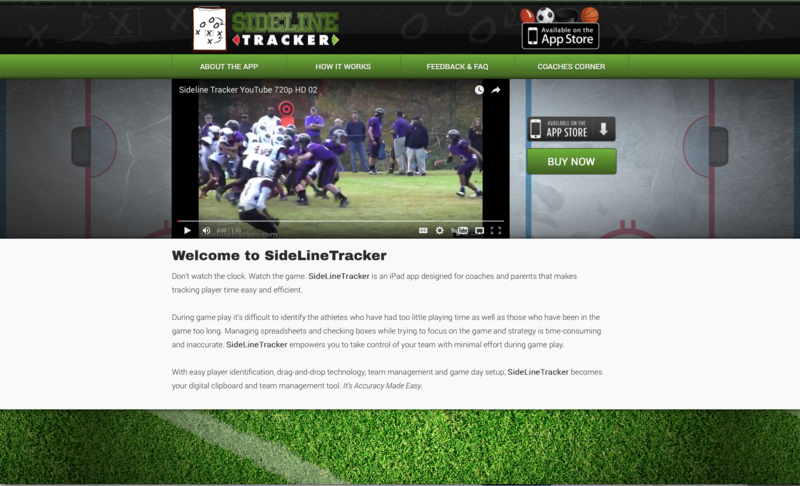 SideLineTracker empowers you to take control of your team with minimal effort during game play. 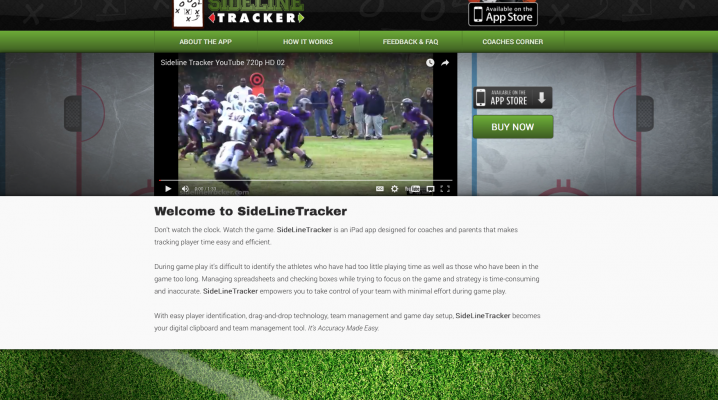 Download the Sideline Tracker iPAD mobile application here. V4 Development worked with SideLineTracker’s CEO Derrick Mertl to develop his vision. 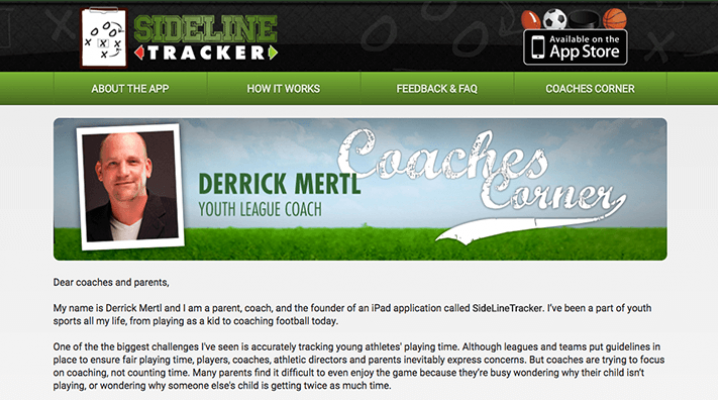 As a parent and coach, Derrick found a need for a simple an interactive way to track youth athletes’ playing time.SideLineTracker is a tool that organizes and manages your team's information in one place. 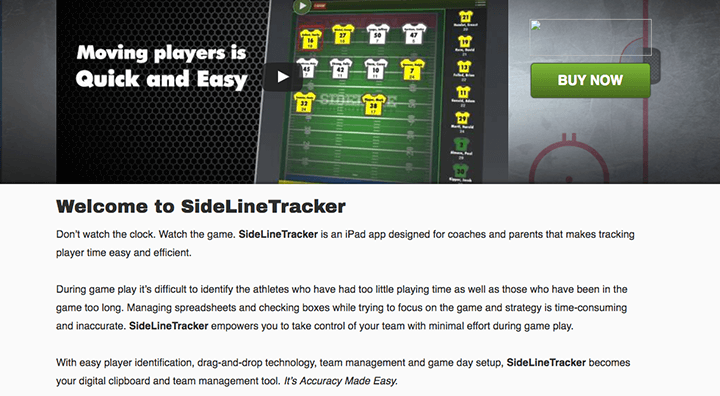 SideLineTracker makes it easy for coaches or parents to set up a team and populate a roster. After choosing your sport, the user identifies the minimum and maximum play duration, deciding to track time or plays, and choosing to have notifications sent to parents or guardians with game stats about their athlete. The iPad version of the mobile application requires iOS 6.0 or later.